LIGAO CITY (Dec. 11) – “It was a heartrending and exciting for the students of Ligao National High School to compete with ensembles from school, churches, residential communities, offices and special interest groups that take part in the biggest-all inclusive choral competition in the Philippines the 2017 MBC National Choral Competition”, said Celger Venzon Villacampa, the multi-awarded conductor of Ligao National High School Children Chorus and Ligao National High School Voice Chorale. The National Choral Competition had two (2) categories: Children and Open Category. 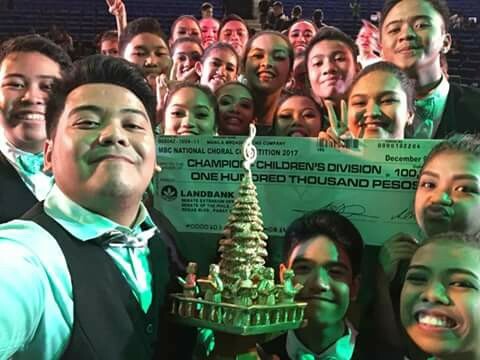 LNHSCC’s quest for Championship is unprecedented when they nailed down their competitors and bring home the P100K cash prize of the MBC National Choral Competition’s children division.